A preference center is the hub of subscriber personalization and an important means to improve your deliverability and ROI. Each customer or prospect sets up his or her preferred email address, frequency, content type, and mode of delivery in the preference center. It is the place where users can opt-in, opt-out, opt-down, or take a break from emails. A preference center is the best learning tool available to you to deliver relevant information and support subscriber engagement. What makes a preference center so important? There are at least 10 great reasons why having an email preference center is essential to your effective email marketing. The control is in the subscriber’s hands when they can modify and update their own information and choices. It eases the burden on email marketing managers who do not have to be involved in the constant updating of subscriber information and email options. Subscribers stay subscribed longer when they are allowed to opt-down to less frequent emails or temporarily suspend their email while on vacation, away from the computer, or other reasons they want to go “on hold”. Frequency of receipt – daily, weekly, or monthly – can be set as preferred by the subscriber; then it’s up to the email marketer to send emails accordingly. Be prepared to respond to their preferences, or else don’t ask. A new reporting metric is created by the resetting of preferences. How often does the subscriber maintain or modify profile preferences? When subscribers make changes, this is a great opportunity to remarket to them. Fine tuning of relevant product information, bulletins, alerts, and other content is possible when subscribers indicate their specific choices of all the variety that your company has to offer them. Let them choose one, a few, or many from your list of possible communications. For example, Amazon gives approximately 30 product category options to its email subscribers, and some newspapers give many highly personalized options (news, weather, sports, local interest articles, book reviews, real estate, classifieds, events, daily living, etc.). Subscriber preference setting is more accurate than click data. If your email segmentation is set by product click selections, you may be missing important demographic information. For instance, men may shop for women’s items on certain occasions, but that doesn’t mean they want to receive a preponderance of emails marketing to women. Likewise, a traveler who once asked for information on Ft. Lauderdale coupon specials doesn’t necessarily want to receive all the local offers when she really lives elsewhere. The guesswork is taken out of formatting when subscribers indicate their preference of HTML or text versions. Readability is essential to subscriber retention; if they cannot read it, your message is not delivered and it annoys! You can learn key facts that facilitate your email marketing goals by optimally tailoring your subscriber preference center. Define those goals, decide what facts would assist them, and then glean the appropriate data directly from your customers’ answers. Get a glimpse of the subscriber’s experience from the personalized data the preference center provides. Is your email helpful? Does it provide value? What could make it more beneficial or palatable to your subscribers? Questions are the window to the world, it is said, and the answers users provide can lead you to new directions, new leads, and new sales. How can you make it appealing for subscribers to supply preference center information? If you present your subscribers with the benefits of providing their personalized data, they will be more likely to provide what you seek. Your goal is to improve their customer experience, and that’s why you want to know what you ask. Don’t overwhelm them with 20 questions as they opt-in. Stick with the basics of name and email and then follow up with further preference information when opportune moments present. Some users will provide the answers and some will not – remember, preference setting is in their control. Remember to provide a preference center link as an option at the bottom of each email message. Some will take advantage of its fine tuning, and you will be able to take important steps forward in tailoring your marketing to their wants and needs. This dynamic process is the essence of customer-centric engagement and service. 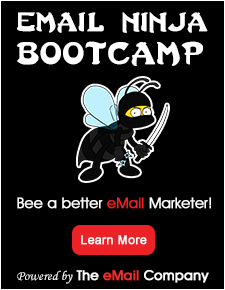 Use it well to improve your ability as an email marketer. 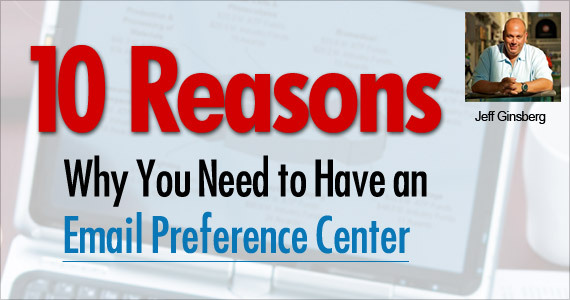 Want to check out some other great resources on email preference centers? Here are several links.